The Gemini lets parents carry their baby in four different positions: front carry facing out, front carry facing in, hip and back carry. The Beco Gemini is all about flexibility and simplicity. 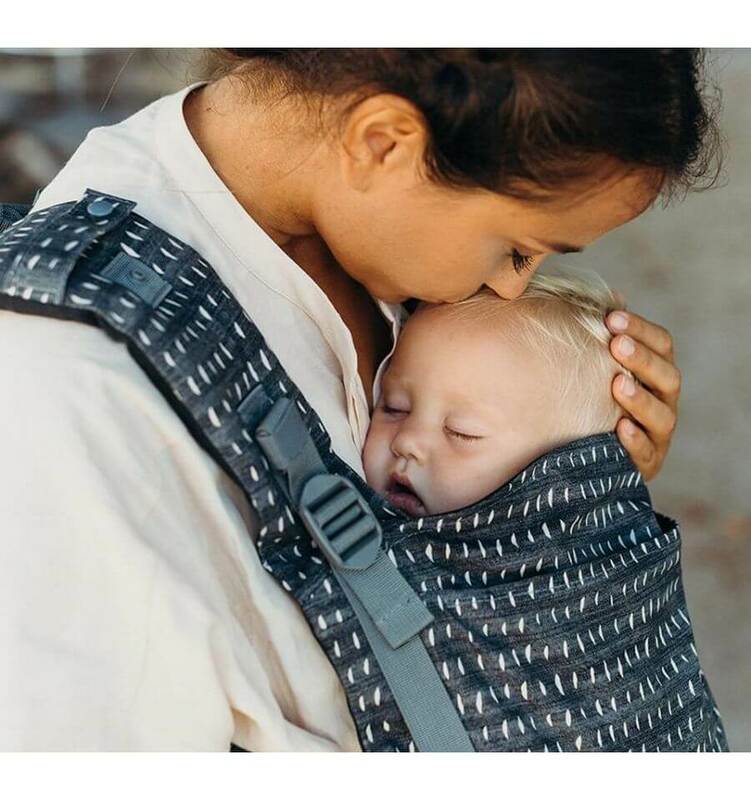 There are no detachable accessories, everything you need is built into the carrier. 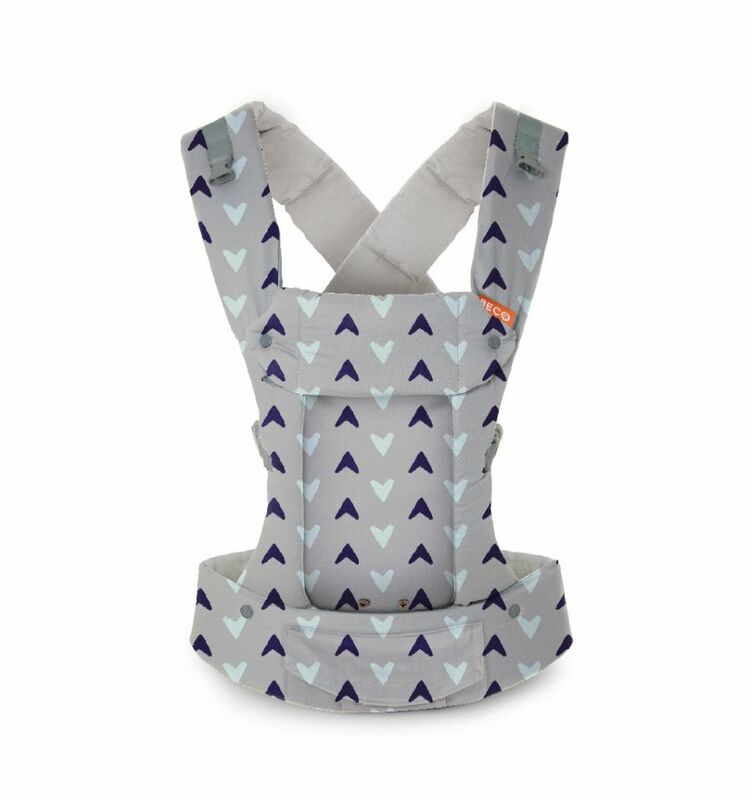 The unique design of the Beco Gemini Carrier allows to make the bottom of the body narrower through snaps so that it fits smaller babies. A baby which is a couple of weeks old can be carried with his legs outside. Then as the baby grows the bottom of the body can be made wider again. 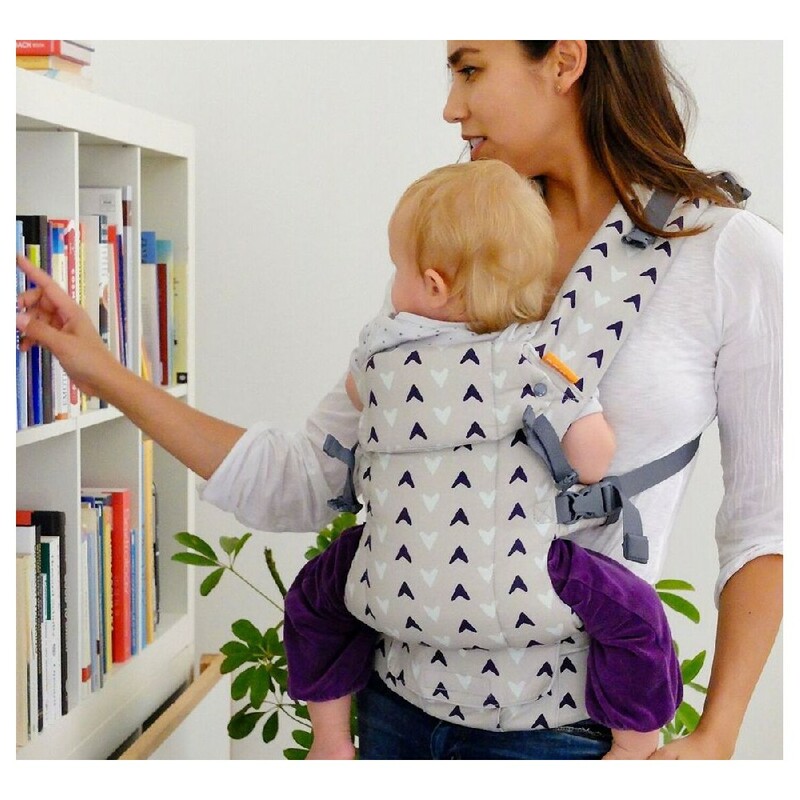 The narrow bottom of the Gemini is also used when the baby is carried front facing forward. 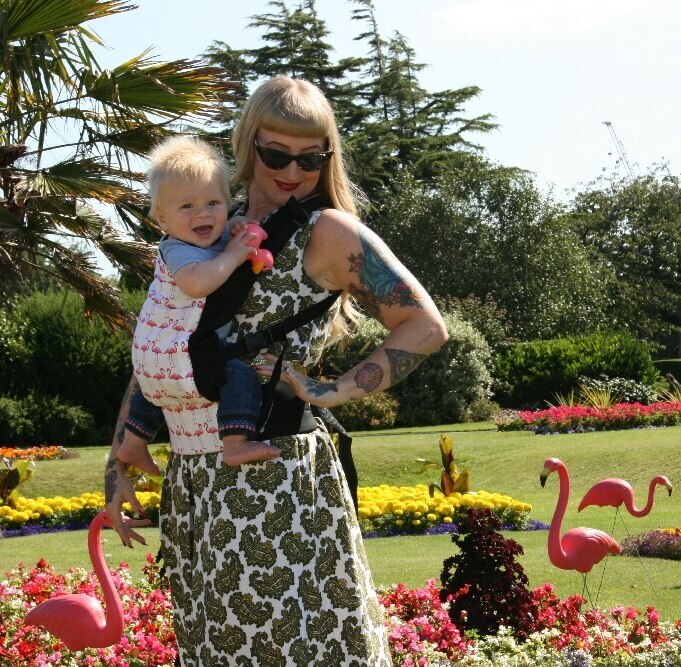 The Beco Gemini features a supportive waistband and wide padded shoulder straps that can be worn backpack style or crossed on your back for discrete nursing and better weight distribution. The padded headrest of the Beco Gemini can be folded up or down and fastened with snaps. 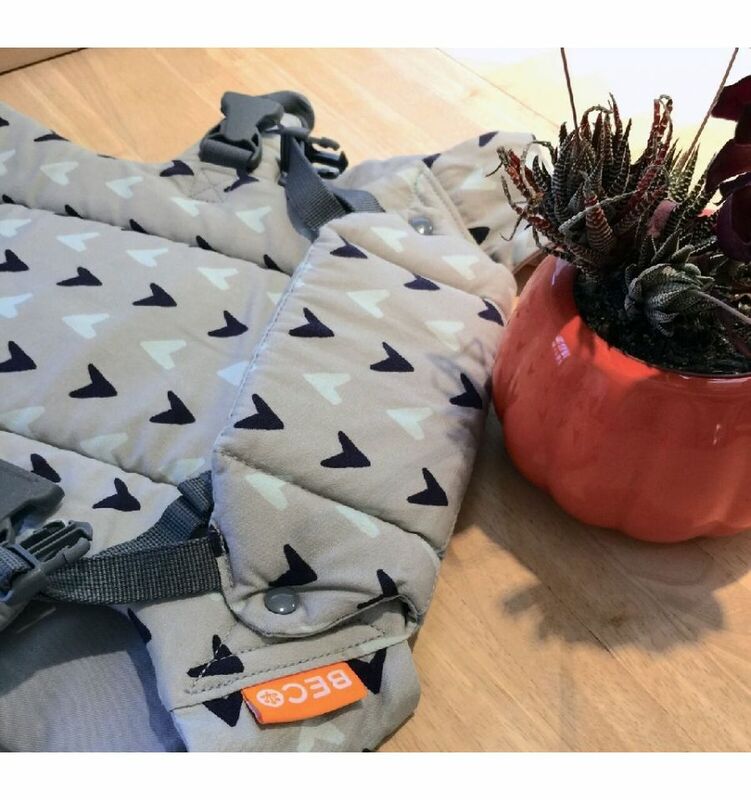 If used with a small baby, it provides excellent head support and with an older baby, it elongates the body and offers extra back support. 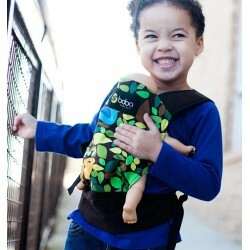 Compare the Beco Gemini with the Beco Soleil Carrier.